health care – social protection, medical coverage and mutual solidarity or organized by the state – a modern education, accessible and quality – education on attachment to the identity Moroccan national constants and immutable – the training and physical education and art – a decent housing – at work and government support for job search or self employment – access to public office based on merit – access to water and a healthy environment – sustainable Development. The LEASE seems to protect the tenant more than the landlord, which also results in a low percentage of landlords. In popular circles, by cons, lease or sublease is fairly common as a way to supplement household income. The UNSAFE AREAS OF HABITAT are often affected easements that require their reduction or restructuring. These easements are binding legal effect to the state, which does not promote security of tenure for occupants. In Morocco, the term “anarchic habitat” refers to the slums. There are no official figures or nationally or regionally in the number of evictions ! Evacuations derelict buildings are made in a legal limbo, not allowing to obtain such data. It is governed by two regimes including the registration that covers only a small part of the land holdings. The complexity of land issues prevent the development of a consensus among stakeholders to adopt new legislation that would implement new land agencies and legal arrangements. 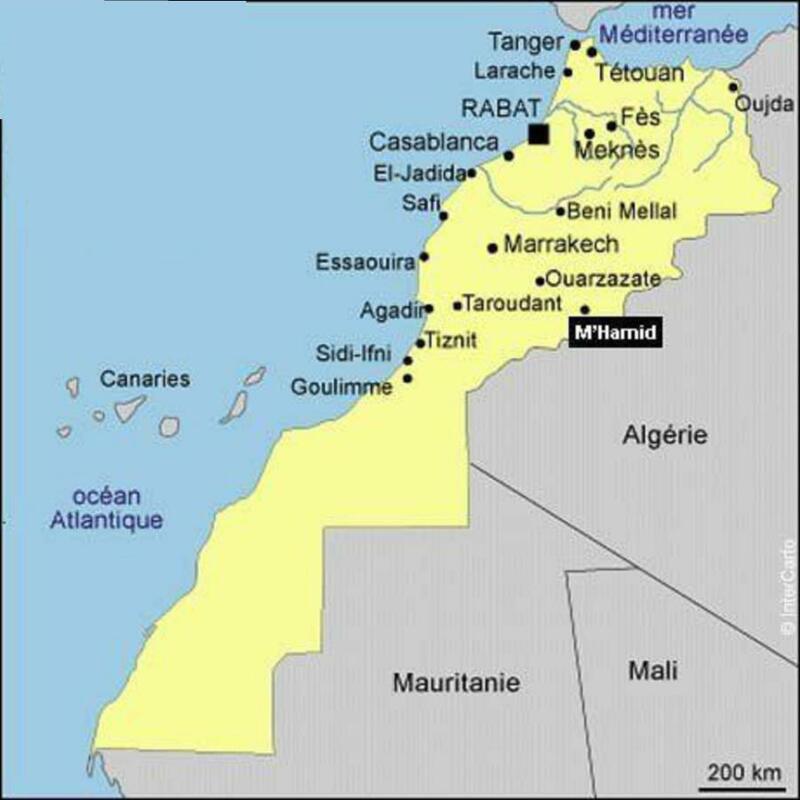 Moulkia: land tenure governed by acts adoulaires (= deed under Islamic law, exists in Morocco since the advent of Islam). These lands are sometimes conflicts that threaten the security of tenure is a barrier to new areas of urbanization. (more than two thirds of the national land assets). Developments in the non-regulatory part of the purchasers of lots in their rights as mother to conservation land. They become purchasers of undivided land. Unfortunately, this process tends to create a fragmentation of growing regulatory and non of these plots, the benefit developers at the expense of buyers and communities. Some households have no title. Although Moroccan law does not allow the sale of agricultural areas, the Moroccan government provides in the form of leasing its land to private investors. The stated objective is to boost the efficiency of the areas that the state is not able to handle effectively. A national agency, the Agency for Agricultural Development (ADA), which is responsible for carrying out these transactions. Moreover, Morocco is among the countries which today are investing heavily abroad. For example, in 2013, in Gabon Moroccan investors can “buy” land. groups to middle or high income, tenants with a lease in good and due form. rental home = in the neighborhoods, the coexistence of an owner with a tenant in his house or on his plot. However, the status of ownership, even with a title, does not immune from deportation. There are few tenants in Morocco: less than 6% in rural and 30% urban (2004) and especially in the urban centers. This percentage also varies with the tenure and type of housing. There are, for example, rent in popular circles with cases of cohabitation. The housing stock in urban areas shows a significant increase, especially between 1994 and 2004. But this increase is less than that of household growth, which should ultimately reduce the pressure of demand in cities. It seems that we are in a period of stabilization of supply and demand, however, if one takes into account also the supply of substandard housing. A large fleet of empty dwellings is found in Morocco, reaching almost 15% in the cities, which represent five years of housing production “regulatory”! This is to liaise with the housing shortage is also found. According to a recent study on the right to development in Morocco (2010), it seems that the industry has been very active between 2003 and 2007, with significant housing production allowed. However, the housing deficit remains high, with a new demand of about 120,000 households per year. This deficit is estimated at 600,000 units! Besides these habitats “regulatory”, there are also non-regulatory forms of habitat. Several programs have been undertaken by the government to face these habitats or non-regulatory slums. The OVERCROWDING is an issue that has historically placed more phenomena in rapid urban growth. The reality is different in urban and rural areas and between regions of the country. Occupation density is defined as “a unit is considered with sufficient living area if each piece is shared by a maximum of two people.” Currently, there is a phenomenon of cohabitation in urban areas, due to the pressure drop in the demand for housing. The UNWHOLESOMENESS is a reality for some of the housing stock, to be linked with the recurrent deficit of adequate housing. The most common forms of this are unhealthy: the slums, derelict housing in the medinas, overcrowding, poor sanitation diffuse (slums on the roofs of buildings, garages, premises not intended for housing, etc.). In Morocco, about 1.4 million people live in SLUMS near 1000 which is located on the third axis Atlantic Kenitra-Casablanca. And he even construct, on average, per year 4000 barracks. This is a result of the supply of housing unsuited to a part of the population, often the most destitute. The failure of the rental market for low-income families, their financial inability to purchase plots in eradication programs implemented by the state and the inadequacy of the products delivered with models and social realities reveal now a large fleet vacant. Source: HIC article. The phenomenon of slums which people live, are often shack built by aglos and Dales with zinc sheets. This is due to lack of sufficient means to pay for another type of accommodation, and also to benefit from the resettlement operation, for some who move suddenly in these slums. In general, these slums are called “douars”, with narrow streets. It should be noted that Morocco began the policy of cities without slums in 2004. It is currently 60% of the cities that have benefited from this. The housing situation in the ancient medinas, which are generally at the heart of major cities. These cities have a modern appearance, but they keep these medinas because they are considered a cultural heritage of Morocco. 43,000 housing units are crumbling and are the basis of another cause of life in makeshift housing. In these ancient medinas (Fez and Casablanca), there are dilapidated houses may collapse on the people, and that can cause victims, knowing that people do not want to move these buildings in ruins for lack of sufficient resources to have alternative accommodation, despite retaining and resettlement operations carried out by the Moroccan authorities. The work of this network is more difficult than powerful lobbies want to transform the use of green areas in their favor, without protecting the environment or the less fortunate citizens. The struggle for decent housing is a global struggle, also aimed at creating competent authorities to combat the problem of these indecent housing. The first social housing program was implemented at the end of the protectorate. It was then a program for the elimination of substandard housing. Since then, several programs have been implemented, including giving priority to urban areas. However, these actions have focused people with incomes creditworthy low-income households are not the target of these programs. – Based on these results, the approach taken has been replaced by a plan RESETTLEMENT OF SLUMS. This was to transfer slum to a developed site, transferring them lots equipped at a subsidized price to charge for beneficiaries to finance the construction of their homes without subsidy, or device for easy access to bank credit but sometimes with technical support. Again, the results are unsatisfactory, due to insufficient control of operations, or a recovery operation by public operators whose primary purpose is not the slum clearance. – End of the ’90s, the government has launched programs of social housing, but they are for people with sufficient income (as owners or tenants), leaving aside the new precarious! Legal uncertainty around the concept of “risk” of this type of habitat, but also vague about a procedure for relocation of families. Social constraints related to the precarious occupation. The technical intervention, even greater strain in urban areas. Sustainable housing in Morocco sends several parameters including the age of the housing stock to make renovations forcing, but also to sustainable building materials that are protected against weather and seismic hazards. Traditional housing (medinas and Ksour) is often made from traditional materials, sustainable qualities, but not sustainable because the lack of maintenance quickly leads to degradation, these units no longer conform to safety standards.